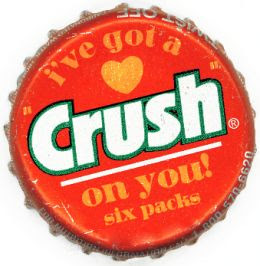 This was a crush for sure! I happen to meet him at a college get together. First look and that sly smile reaffirmed that he is the one for me. I could recall that college romances are fun and full of excitement. Waiting to catch a glimpse of him in the crowded corridor. Staying back till late in college with a thought that he may ask me out again. Well this was not a college romance. I am a professionals who has just struck 26! All the aunts and uncles come home with the prospects of suitable match. But no one quite have those factors that I get me down on my knees and ask him out! Asking him out! Yes I mean it, I believe that if I can find a guy who fits in the parameters of "my man", then I will not shy away in taking the plunge and ask him out. Whats the harm in it? Atleast I will not live with a regret for life that I never ever told him that I liked him. Well back to present! I am at this college get together and getting to meet a lot of college mates! Though I did not even know his name, I was already feeling jealous with the female attention he was getting in the auditorium. Thankfully I located a college senior, Arnav who seem to be in good terms with this guy. I made sure to talk to the senior and try getting hold of this guy's identity. Arnav: I have been good. What about you? Me: I have been good too! So what are you doing these days? Arnav: I am in the family business. What are you doing? Me: I am a freelance documentary filmmaker. Well that reminds me that I am doing a project on family businesses. Would you be interested in a chat over the topic sometime next week? Me: And who is that Guy with a sly smile? Arnav: Well he gets all the female attention where ever he goes! Arnav: Oh, well in that case I can introduce you to him. But just for courtesy sake, don't fall for him. He is not into girls! Author's Note: All nice men are either taken or gay! good one, .. nice men are opportunistic too.... so there is always a chance that you can find a nice men easily rather then "your man "
And...crash..! The moment I thought, it was building into something real dramatic n perhaps, romantic..it came to a abrupt halt! Why does all the crush-building-into crescendo-scenarios finish like that! Sight***..
Was intrigued with your content developer profile..I am into Freelance writing myself..so would have been nice to get your email id..
Hey Mritunjay.. Great to find ur comments, thank you for all those compliments! great post.i cn actually relate to it.